There are many known species of whales, and all of them are found living in the various oceans around the world. Here are the most common species that you may wish to find out more about! Gray Whales are quite large, and they are excellent swimmers. They tend to be seen often by humans due to the fact that they live so close to the coastline. They have the longest distance annually for migration. They start out in October and may go as far as 14,000 miles. They can cover up to 75 miles per day. They are considered to be the least social of all whale species. The Beluga Whale is a Toothed Whale. They are very social creatures, and have the most complex hierarchy of all species of whales. They are easy to identify due to the white coloring and the protrusion of the head. They also are well known for their vocalizations which sound similar to a canary singing various songs. The Narwhale is a Toothed Whale that is medium in size. They also have the one tusk which only the males feature. They are black and white colored with patterns. They start out darker when they are born but then get lighter in color as they get older. They live their entire lives in the cold Arctic region. They use their melon, not their tusk, to break up the ice and allow them to have air for breathing. The Sperm Whale is a Toothed Whale. It is identified as having the largest brain of all animals in the world. It is also the largest of all Toothed Whales in the world. They feature a block shaped head that uniquely identifies them. No other species of whale has this same physical look to them. Most whales feature skin that is very smooth, but this one features skin that is very wrinkled. They feature from 36 to 52 very large teeth. They are quite vocal and live in all oceans around the world. The females tend to create stronger bonds among each other than any other whale species. Blue Whales are the largest of all whale species. They can be up to 98 feet long when fully grown! They consume large amounts of food, and they are a Baleen Whale with a filtering system. This is one species of whale that has had an ongoing struggle with their depleted population. Due to having whaling up to 1966, they lost drastic numbers and it has been very difficult to get their populations to increase enough to take them out of the risk of becoming extinct. The Blue Whale is also known as being the loudest of all living creatures. They use vocalizations often, and can be heard a significant distance. It is believed they can hear each other up to 1,000 miles away! The Sei Whale is extremely fast, and they can travel more than 100 miles per day while migrating. They have a slender body that is designed for movement in the water without exerting much energy. They have an interesting method of finding food. They twist the body from side to side as they swim rapidly. This allows the baleen plates to take in lots of water along with plenty of food resources. The Minke Whale is the second smallest species of Baleen Whales. The only one smaller than it is the Pygmy. They are able to swim very well and can move up to 24 miles per hour. They have a very diverse habitat as they are found living around the poles and around the temperate areas. They can live in areas with ice pack as well as those locations that are considered to be tropical. The Bowhead Whale is found living in the very cold regions of the sub-Arctic and the Arctic. This is the only known species of whale that doesn’t migrate at all. They have more blubber than other whales which helps them to be insulated. They have a very large bow shaped head, which is where their name derives from. They use the bones in their head to break ice so that they can successfully come to the surface for water. This is the second largest whale in the world. The Fin Whale has a body that is very long and slender. This species is very fast,and they are often referred to as the greyhound of the sea. There isn’t a steamship in the ocean that can move faster than this whale can. Due to excessive whaling, their future is one that is uncertain. They are rarely seen in the wild, and it is very hard to get a good count of how many of them remain. 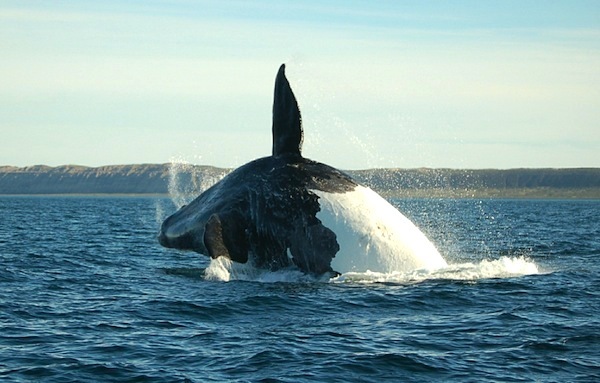 They are considered one of the most social whale species.